There are many incidents recorded in the Old Testament that make God not look too good. Some people don’t even like to read the Old Testament because of these. Many of those stories read as though God personally did some pretty horrendous things. Is God really like that? Or is there another way to look at many of those events? Either He does many things that most people would say are not consistent with love or there is something else going on. Please read the page Love Takes Responsibility for a discussion of why God would so often claim responsibility for such events and why this can be seen as a principle in the Bible. Below are examples in which the wording seems to indicate that He was responsible for certain events or for the actions of others even when other verses indicate that He was not directly involved. In a number of these examples, there are either serious contradictions or there must be another way to understand this. So let’s take a look at some passages where God takes responsibility (the blame) for or, in some cases, the credit for the works of others. Also, there are some cases where others credit Him with the responsibility for the actions of others indicating that people have long understood this principle. Following is a list of the passages looked at on this page or, if given as a link, in another post. It seems to be saying here that the Father, acting through His Son created. It could be understood like the Producer and Director of a film where the Producer is perhaps the one who had the idea to make a documentary about a particular subject, who initiated the project and began to find people to help accomplish the task. Perhaps he had no personal experience in making a film and so hires a director who does have the right experience to see that the actors, film crew etc do the right things. Creation has been well expressed (especially by Adrian Ebens) also in terms such as the Source (God the Father, in this case) and the Channel (the Son) who is delegated with the actual work of creation. The question is whether or not this occurs elsewhere in scripture. We are looking for cases where God takes credit for or assumes responsibility for the actions of another or claims to have done something He is not directly responsible for. What can God do for them, on their behalf, to protect them when they want Him to leave? Many people pretty much just ignore God; here is a case where they actually requested that God depart from them. So God, honoring their free will, left. Could the end of all flesh indicate that man had become so sinful and violent that they were threatening to wipe themselves out? Don’t rule it out. The clue here is that the LORD would strive or plead with man to change their ways and at the limit of 120 years He would no longer strive with them but would leave them alone. It was, essentially, a period of probation. The flood is a difficult event to consider in this way. We might ask “Who but God Himself could bring about such a large-scale event?” Well there are hints that something more is going on. Give them up/deliver them to who or what? It is a rhetorical question. He is saying He can’t do it – can’t deal with them as He did with Admah and Zeboim by giving them up. The cities of the plain were given up in the sense that God withdrew His protection from them and they were then subject to forces of nature from which God had previously been protecting them. Exodus says in a number of verses that God hardened Pharaoh’s heart. Yet there are other verses that say that Pharaoh hardened his own heart. How are we to understand this? Is it a matter of counting how many verses say God hardened Pharaoh’s and how many verses say Pharaoh hardened his own heart and see who gets the most verses? It seems quite clear that hardening the heart, in this case, means refusing to heed the request to let Israel go and, rather, to keep them in slavery. Did God do it or did Pharaoh do it? In the most direct sense, it can’t be both. What reasoning can there be that God did not harden Pharaoh’s heart? To do so would be interfering with Pharaoh’s free will. “Choose you this day” refers to Pharaoh also. In a later book, it says that Pharaoh hardened his own heart. So what was God’s part? God set up the circumstances (Moses requesting the release of Israel) that caused Pharaoh to have to make a decision. It was the presentation of truth that caused Pharaoh to make up his mind (heart) in regards to the request and Pharaoh, of his own free will, decided one way and not the other. God set up scenario à Pharaoh confronted with choice à Pharaoh made a decision. Even though God knew Pharaoh was going to reject the truth, He presented truth to Pharaoh as it is only by accepting truth that sinners can be set free (John 8:32). God wanted even Pharaoh to be saved and would not deny him the opportunity. God would have a role, no doubt. Perhaps it was much like what Revelation says will happen when God gives the command to the four angels to release the four winds; to stop protecting the earth (Rev 7:1). When God stops protecting, Satan starts destroying because that is what he is – a destroyer. It could be understood as through God purposely sent the serpents perhaps as punishment for their continual complaining. However, another passage reveals that, in fact, He was shielding them from serpents that were common in the wilderness all along. Consistent with this message of God’s character and loving protection, He protected them as He always wants to protect us from danger. It is when we rebel and don’t want His involvement that He backs off. Without the Lord’s protective presence (“the LORD departed”) Satan had “permission” to trouble Saul. The account in Chronicles even says that God was displeased. Was He displeased with His own suggestion? But notice who said “the fire of God is fallen from heaven.” It wasn’t God Himself but one of the messengers who interpreted the event as coming from God. Is it possible that Satan even understood that God would not do such things and normally protected Job? In reality, Satan asked for permission to test Job as God’s response indicates when He gave permission but with limits. So, in the story of Job we see God accepting or, at least, not denying responsibility for Job’s misfortunes. Of course, God could have prevented it. There is evidence that the book of Job was actually the earliest book of the Bible written. Is it possible that it was written first to give an understanding of what was going on behind the scenes? It showed that Satan was the accuser and how God was not directly involved. This is not speaking of moral evil but of evil in terms of bad events. How could God be the one to “create darkness?” By withdrawing His light – His truth. How is God the creator of war or evil? By withdrawing His peace – His Presence. The absence of light creates darkness like the absence of heat results in cold. It is impossible to make darkness or cold but light or warmth can be withdrawn and darkness and cold result. (Darkness, by definition, is the absence of light; cold, by definition, is the absence of heat.) The absence of life is death. The absence of goodness creates evil. 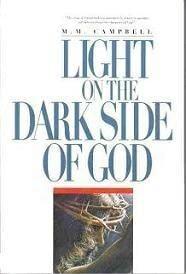 When the God of light, life and goodness departs, the result is darkness, death and evil. Darkness “came” when the light left. Likewise, evil came when goodness left. God, to allow Satan an opportunity to prove his claims regarding Job and Job’s allegiance to God, withdrew (by degrees) His hedge (Job 1:10) of protection from Job allowing whatever was Job’s for a time to be in Satan’s hand (Job 1:12). God does everything in the sense that He allows it – because He could always prevent it but to do so would interfere with the free will of His created beings. So there are a number of examples of God taking the blame (or credit) for the actions of others. There are many more (others will be added here). Actually, it turns out that there is a common and long-recognized idiomatic way of expressing a person personally doing something when they have merely allowed or permitted it. This is frequently used in scripture. 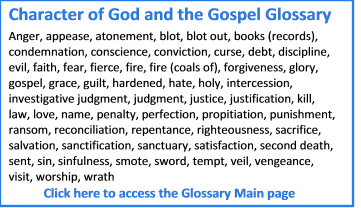 That students of scripture and language understand this is well documented but many today have neglected this leading to serious theological errors. 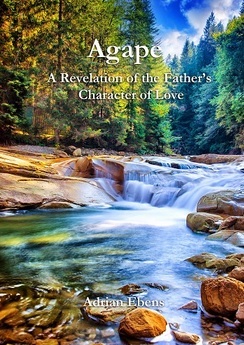 I think there is a significant difference between God creating intelligent beings with the freedom of choice, hoping they will see His wisdom and love so that they fit into a universe that is guided by His wise principles rather than rebel and create controversy as the devil has done, painting God (source of good) as a tyrant and evil (with his own characteristics). The bottom line is that, yes, God takes the blame and did at Calvary–He paid the price then for reconciliation and while some do not know of His doing so, they nevertheless, live based on what they know as truth or whether they choose their own way. Ray, you have done such a good job on this. In every instance described above, God withdrew reluctantly, knowing that He was their only Protector from Satan, who is a natural and instinctive destroyer. What do you suppose He thinks, when men and women do everything they can to shut Him out of their lives? He knows that He is their only Protector, and when He leaves, what will befall them. 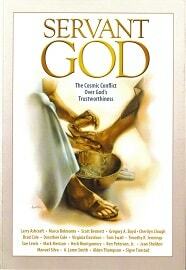 An understanding of the Great Controversy is so helpful here.